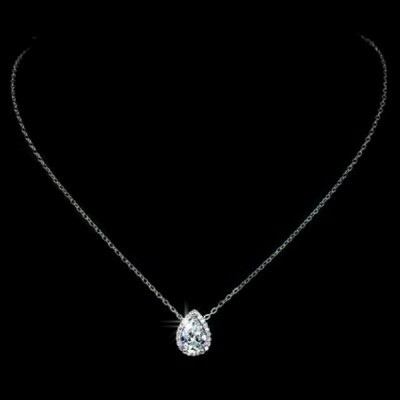 The Annaleise bridal pendant provides a beautiful and elegant finishing touch to any formal occasion outfit. Perfect for brides, bridesmaids, mother of the bride- as well as black tie, cocktail or date night, this is a classic and versatile piece that will never go out of styl.. 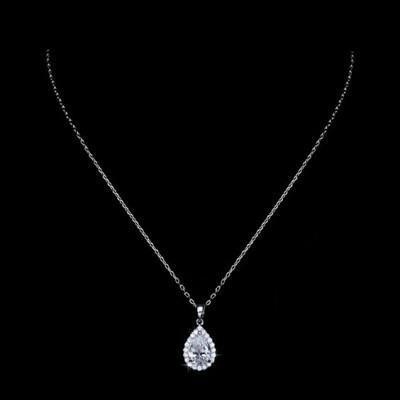 The Bailey bridal pendant provides a beautiful and elegant finishing touch to any formal occasion outfit. Perfect for brides, bridesmaids, mother of the bride- as well as black tie, cocktail or date night, this is a classic and versatile piece that will never go out of st..
A tasteful mix of classic and vintage, the Franklyn necklace ticks all the boxes for bridal wear (bride, bridesmaids, mother of the bride) and makes a perfect choice for formal wear in general. 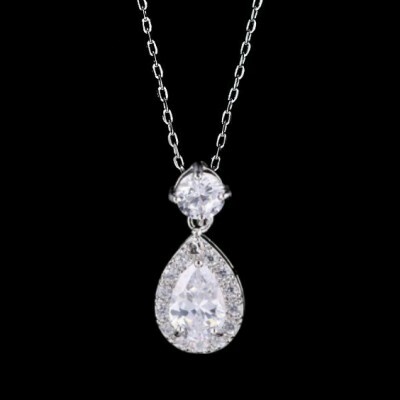 This tasteful pendant features a teardrop-shaped Cubic Zirconia that is framed with vin.. The Jasmine bridal jewellery necklace is beautifully classic, and is an attractive finishing touch to any bridal ensemble. 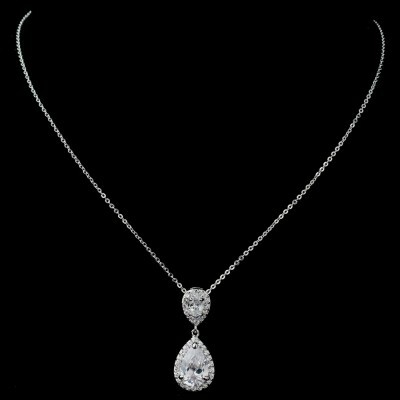 This necklace is composed of two cubic zirconia teardrops, both framed with a fine row of pave-set stones. 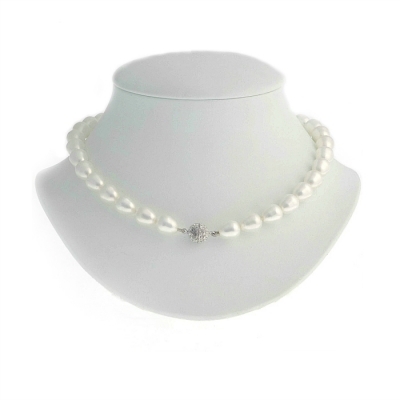 This necklace comes on an adjustable length chain, and a match..
A classy and sophisticated pearl necklace featuring off-white pearls and a sparkly ball clasp. Highly versatile, this necklace suits bridal wear, black tie, special occasions or the workplace Timeless and classic design Handcrafted A beautiful gift ..